As you know, I love bringing you interesting authors who write extraordinary books with many different things motivating them. 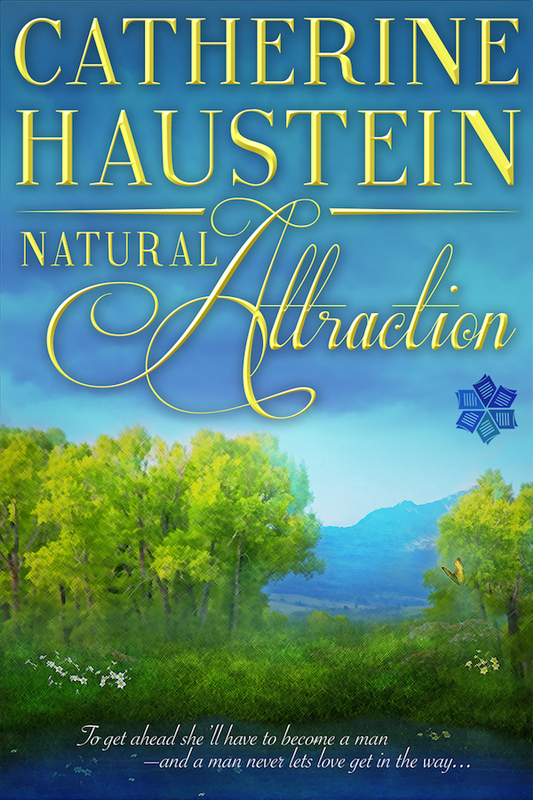 Today we have Catherine Haustein, scientist and author, sharing her decision to pursue writing in combination with her career as a scientist, and how she came to write her debut novel, Natural Attraction. 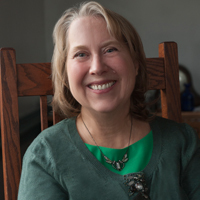 Please welcome Catherine Haustein to Women’s Fiction Writers! I must admit that I always harbored the goal of being an author who wrote about science. Science is a nation shaper, a life changer, more so now than ever, and so, I reasoned, understanding those who do science would make for great stories. I’m of Dutch decent and thus, pragmatic and it seemed logical to be a scientist first so that I could write what I knew. After a year of pursuing my graduate degree in chemistry at The University of Iowa, I enrolled in the MFA program there without telling my chemistry adviser. I wasn’t going to take “no” for an answer and fortunately, both departments were supportive. Thus my career as a writer of scientist characters was launched. Writing about science demystifies it. The scientific process isn’t a form of magic. It’s done by normal, flawed human beings. Scientists can be a funny lot so there’s a fountain of material. Writing about scientists gave me a niche too. Part of why I write about women in science is to encourage others to go beyond society’s limitations. I was told as a girl that science wasn’t for women and I didn’t listen. I’m glad because science is a powerful career choice and can give a person tremendous self-confidence. Good data speaks for you and bestows a sense of worth and wonder. I have another motivation for writing about science and that’s to entertain scientists and to inspire them to read widely. I worry sometimes, that with all this emphasis on STEM education, we’re not nurturing the souls and creativity of scientists. Suzanne Keen’s study of the connection between reading fiction and developing empathy highlights the need to keep everybody’s nose in a book. There’s been, however, a nearly Faustian catch in my plans. Once you learn the basics of science, it’s easy to find work and the work is interesting. I’ve spent most of my career being a scientist—a professor with research on plant chemicals and neurotransmitters. Ironically, Natural Attraction didn’t begin with science. It began with a place, Singapore, Michigan, now a ghost town, and with a date, 1871. From this anchor, the science in the novel unfolded and it was mostly biology. I wrote out of my comfort zone as a chemist but this helped me stay in the perspective of a young researcher starting out. It’s got a little plant chemistry in there too, because after all, it’s fun to write what you know. A graduate of the Iowa Writer’s Workshop, Catherine Haustein is a chemistry and English professor at Central College in Iowa. Her ancestors lived in the famous ghost town of Singapore on the shores of Lake Michigan. Natural Attraction is her first novel. Natural Attraction is an adventure told by Clementine, a young Dutch American scientist in 1871 who must pose as a man to further her career as a naturalist. With the help of a mysterious tonic, she transforms into a man, discovers new species, and falls in love with a preacher. Thanks a million for having Catherine on your site. This is an amazing book that combines genres in an amazing way. We’re very glad to share it with the world. We think readers will love it as much as we do. Catherine, this is so wonderful. I was a biology major in college and THEN went on to earn an MFA. I think having studied science deepens my fiction in ways nothing else could have done–I’m so glad I did it. Can’t wait to read your book! Great to hear from you Holly. I’ve always thought that there are a lot of similarities between science and writing–the need for passion, precision, and observation. The one difference is that in science, nature writes the plot for you. Yes, I did use some alchemy. I’m a member of the Alpha Chi Sigma chemical history fraternity and have always been taken by the passionate idealism of the alchemists. The character Theophrastus is modeled after the alchemist Paracelsus. (I’ve written a monologue based on his writings.) Yes, my ancestors were Dutch and most of my relatives still live in Holland, Michigan. As for the U of Iowa, the very first stirrings of Natural Attraction began at one of the Summer Writing Workshops and last year I was fortunate enough to enroll in two courses at the Writers’ Workshop. I met Marilynne Robinson and was tongue tied. Thank you for your good wishes. Catherine, I am delighted to learn about your book Natural Attraction and want to read it. My Dad was a research scientist, a chemist who worked for the CT Agricultural Station in CT and did many analysis’s of plants and seeds. I loved watching him in his lab. He also loved to write and published several magazine articles. So I think your title says it all – Natural Attraction! Your book sounds so very intriguing! Congratulations and best to you in all you do. So nice to hear from you and thank-you. Plant chemistry is fascinating. Do you have any links to your Dad’s articles? My next novel will be all about plant chemistry–and human chemistry, of course.